For Research Administrators and Unit Reviewer/Approvers, Information Technology Services (ITS) has prepared job aids, reference materials, FAQs, and training documents. Learn more about the recent 2018 Award Management Functionality project. What happens when U-M receives the award? 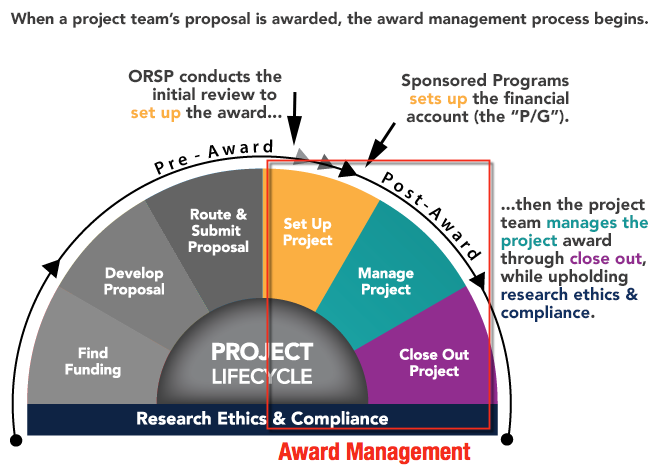 First, Project Representatives from the University of Michigan's Office of Research and Sponsored Projects (ORSP), under the Office of Research, must review the award and prepare the award for set up in the eResearch Proposal Management (eRPM) system. What is an Award Record (AWD)? Once the new award is internally reviewed, approved, and ready, staff from the Finance - Sponsored Programs office create the appropriate record(s) in M-Pathways Financials, the U-M accounting system, and activate the Award (AWD) record (e.g., AWD000001) in eRPM. How do I get my awarded funds? Every award is different. You must read the Award, and any details in the Sponsor Guidelines to understand how and when you will receive the funds. You need a P/G number set up to start spending. After you’ve reviewed the award you can contact your assigned Finance - Sponsored Programs Customer Service Representative with questions. Should the PI want to modify the budget distribution, the proposed changes may be made on a Budget Reallocation Form, which should then be routed through the normal approval process. Award management encompasses the greater activity that occurs within multiple phases of the sponsored project lifecycle – from the steps to accepting an award, to change requests and modifications throughout, and to the deliverables due to the sponsor during and at the conclusion of a project. 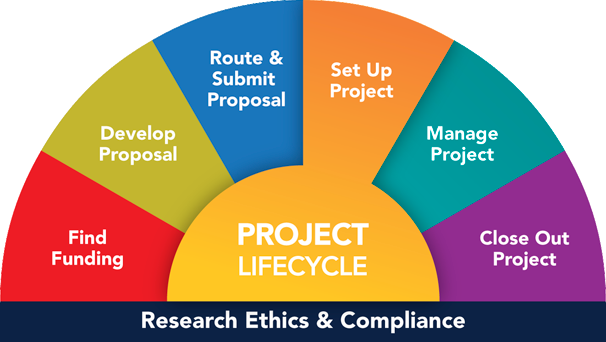 Effectively managing an award through these phases within the increasingly complex regulatory landscape takes coordination among the research units and various central offices and benefits from a comprehensive system that records and tracks progress towards the completion of a project. Learn more from our following Frequently Asked Questions about Awards. Who receives the eRPM system-generated emails about the award? At the time of award activation, a system-generated email notification is sent to all investigators and administrative personnel listed on the award and identified email contacts for all departments participating in the award informing them that the AWD has been created in eRPM. That notice provides the AWD number and the Project/Grant (P/G) number for the project. Where can a project team review the details of an award? The AWD record in eRPM contains attachments and details including the terms and conditions, key personnel, and other items that the project team can review. What is this about a recent launch of Award Management functionality? The eResearch Proposal Management (eRPM) team, along with leaders and consultants around campus, helped enhance eRPM with new Award Management functionality in August of 2018. What if I need to make changes to the award? To start an Award Change Request (ACR), use the Request Action/Modification activity in the eRPM Award record and upload a signed copy of the Post Award Change Request (PACR) form to request changes to the award. Subsequent changes in terms and conditions, additional funding, time extensions, and other modifications may require ORSP staff to complete a Modification (MOD) to the AWD record in eRPM. Completed ACRs and MODs can be reviewed and accessed through the Modifications tab in the AWD record.